This series, Archaeology of the North, will include new and groundbreaking work on the archaeology of the polar region. Works to be included in the series will be synthetic studies that should have an international audience, examining the development of social organization and economies, technological achievements, such as pottery and metallurgy, plant and animal domestication, and large-scale specialized hunting methods necessary for whaling and deep-water fishing, among other topics. 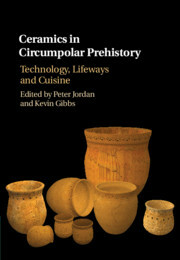 Receive email alerts on new books, offers and news in Archaeology of the North.